NATO Assumes Control of No-Fly Zone - NATO chief Anders Fogh Rasmussen differs with the U.S. and Britain interpretation of UN mandate and says it does not include the arming of the rebels. Time.com has more here. 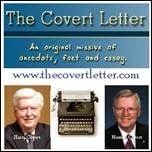 U.S. Covert Ops in Libya - not a surprise, as C.I.A. operatives always go into a country prior to an air campaign to clarify and target areas for bombing. The NY Times has a good read here. The question that now needs to be asked in Congress is what is their charge now? Are they operating as advisers to the rebels and are they providing arms to the rebels?, are two of the many questions that deserve immediate answers from the Obama administration. Now, Senator Marco Rubio (R-Fla.) is calling for resolution to authorize President Obama to take action to remove Gaddafi from office. TheHill.com has more here. France Calls for Global Nuclear Regulations - France President Nicholas Sarkozy wants a meeting with global leaders to address new measures to govern nuclear power plants. This comes after Sarkozy visited Japan. Japan is still struggling to contain four damaged nuclear reactors as reports surface of radiation levels in sea water and high reading outside of the original 20 mile radius evacuation range. Reuters.com has more here. 33 Million Cut Agreement Reached On Budget - reports indicate an agreement has been reached between congressional leaders and the White House for an additional 33 billion in cuts for the remainder of the current budget year. The current continuing resolution expires April 8. The Washington Post has more here. Following the mid term elections, Republicans buoyed by newly elected tea party freshmen called for 100 billion in cuts to the budget. This call was quickly dropped to 60 billion as the realization the fiscal year was nearly half over. Two continuing resolutions with a total of 10 billion in cuts, encompassing 5 weeks have been passed. If the 33 billion deal holds, Republicans can claim they cut the current budget by 43 billion. Government Makes Profit from Bail Out Bill - remember the Troubled Assets Relief Program (TARP) which was passed at the end of the George W. Bush administration? Lots of criticism has come forward on the effort which is credited with the U.S.averting a economic meltdown. Now, it appears, it was also a program where the government has been paid back and a profit made form the loans given to banks. TheHill.com has more here. Obama to Address Energy Concerns Today - as gas prices rise and the economy remains stagnant, the president will speak of efforts to cut the reliance on foreign oil. An often heard refrain, from past presidents of the United States. The Wall Street Journal has more here. Look to see how Obama addresses expansion of nuclear power plants in the U.S. as the nuclear disaster continues to unfold in Japan. Obama Hits lowest Reelect Numbers in Latest Quinnipiac Poll - the poll conducted from March 22-28 shows 50-41% the president does not deserve to be reelected. You can read the full poll results here. Gaddafi Supporters Push Rebels Back - forces loyal to Gaddafi have attacked rebels and pushed them out of Bin Jawwad. New pleas for the U.S. to provide arms to the rebels have begun as the president meets with congressional leaders today for classified meetings on Libya. The Washington Post has more here. Republican Presidential Debate Postponed - the first of the Republican presidential hopeful debates has been postponed due to the fear only a few candidates will have announced. The debate had been planned for may and will now be held on September 14 at the Ronald Reagan Library. It will still be co-hosted by the Ronald Reagan Presidential Foundation, NBC News and Politico.com. You can read more here. Japan Orders Immediate Safety Upgrades on Nuclear Power Plants - as the battle continues to control the complete meltdown of four reactors damaged by the earthquake and tsunami. Reuters.com has more here. Government Shutdown Possible as Budget Talks Stall - the latest three week budget extension expires April 8 and agreement on the budget for the remainder of the current fiscal year remains elusive. So, both Republicans and Democrats are beginning the spin game in case a shutdown would transpire. Politico.com has a Democratic perspective here and a Republican counter here. Keep in mind, this current budget battle is for the current fiscal year which ends September 30. The fiscal year 2012 budget which begins October 1 also needs approval. And, don't forget the nation's debt ceiling needs to be raised. I sat riveted to the chair, as I listened intently to the "not-so-prime-time" speech delivered by President Obama on the events unfolding in Libya. At 7:30 PM ET, the speech did not preempt any regularly scheduled programming and thus did not meet the status of prime time. Perhaps, a subtle move by the Obama administration to lessen the spotlight on yet another U.S. military engagement lacking clarity of purpose. The president looked awkward as he did his best to read the teleprompter and display strength of conviction as he often would wag his finger, as an exclamation point, to the reasoning he was attempting to convey. His words were purely Bush-like, including a reference which sounded eerily like the justification for invading Iraq, when Obama said "...Some nations may be able to turn a blind eye to atrocities in other countries. The United States of America is different. And as President, I refused to wait for the images of slaughter and mass graves before taking action." A substitution of the words "weapons of mass destruction" or "don't wait for a mushroom cloud" for "the images of slaughter and mass graves" and President George W. Bush could have given this speech. Too many times, in my lifetime, has misguided purpose and lack of long term vision with an exit strategy, driven U.S. military intervention. Beginning, when I was a teenager and U.S. advisers were sent to Viet Nam. The trumped up Gulf of Tonkin resolution followed, which led to a lengthy and costly, both in lives and money, U.S. military intervention. Listening to the man who rightfully campaigned against the U.S. rush to invade Iraq and the quagmire that followed, attempt to justify the U.S. military action in Libya was difficult to process. Syria, Bahrain and Yemen are among other countries experiencing an awakening in addition to the mostly peaceful ouster of President Mubarak of Egypt. None of which have received overt U.S. military intervention, to date. Further clouding the intervention in Libya is the unanswered question as to who is leading the rebels. Ironically, reports have indicated some of the rebels are jihadists and members of al-Qaeda who fought against the U.S. in Iraq. Unlike in Egypt, where the military never relinquished control, while agreeing to phase in democratic elections, the end game for Libya is a complete unknown. Replacing an autocratic government will not be an easy task and international aid will certainly be necessary. Perhaps, a February 16, 2011 New York Times article which has received little media follow up, offers some clues to this new Obama foreign policy doctrine. Mark Landler writes " President Obama ordered his advisers last August to produce a secret report on unrest in the Arab world, which concluded that without sweeping political changes, countries from Bahrain to Yemen were ripe for popular revolt, administration officials said Wednesday." The secret report, known as the Presidential Study Directive, has yet to be presented. In another excerpt from the article, Landler writes "Whether it was Yemen or other countries in the region, you saw a set of trends" — a big youth population, threadbare education systems, stagnant economies and new social network technologies like Facebook and Twitter — that was a "real prescription for trouble," another official said. A fascinating read by Landler and one which begs the question, why is the current unrest such a surprise and one which did not receive proper response planning by the Obama administration. The George W. Bush administration settled on the need to promote democracy in the Middle East as their justification for invading Iraq. This came after no weapons of mass destruction were found and the removal of a despot never gained enough political support to justify the U.S. intervention. Interestingly, today it appears, a move to a more democratic Middle East is underway. Why did the U.S. intervene in Libya and not Bahrain, Syria or Yemen? Most likely, the answer is simple - because it could. International support is a very hard lift for intervention in the other countries and unfortunately for Muammar Ghadaffi, he has no international friends. Meanwhile, the covert international chess game, more real, intense and troublesome than the board game RISK, continues. As expected, a petition drive has begun to force a special election for the members of the Frederick County Charter Writing Board. This board is charged with developing the document which, if passed by the voters in the 2012 general election, would provide the governing policies for Frederick County government. The eight challengers for the nine member board have sixty days from March 10 (the day the nine appointments were made) to obtain two thousand verified signatures from registered voters of Frederick County. If successful, the board of elections must hold an election within ninety days following the expiration of the sixty days from the date of appointment of the charter writing board. Now the petition effort has begun, County Attorney John Mathias may wish to postpone meetings by the appointed charter writing board until the sixty day period has expired. If a special election follows, Mathias may deem it appropriate to delay meetings by the charter writing board until after the election. As I wrote previously, dissatisfaction of the process used by the county commissioners was evident immediately following the announcement by county commissioner president Blaine Young. While, I believe the board of commissioners made an effort to conduct a open and even televised process for selecting the members, it was also a certainty a challenge to the appointment process would take place. The county commissioners could have simply appointed the members. An interview is not a requirement. However, it was the televised interviews which caught the attention of many who viewed them. The lack of consistency of the questions asked to the candidates and some of the silly questions asked were evident to those who watched the interviews. At the same time, some candidates, such as Robert Kresslein and Ken Coffee (both were selected), performed very well. Both Janice Wiles (Friends of Frederick County) and former county commissioner Kai Hagen (Envision Frederick County) have said to me they are not behind this effort. However, expect both to be branded with conspiring to run the challenging slate of candidates to serve on the charter writing board. At first blush, some will say the eight challengers appear they could be labeled as "anti-growth". If true, this effort could quickly deteriorate into more of the same "growth" versus "no-growth" county commissioner battles of the last twenty years. But. it is also likely they are indeed motivated over their dissatisfaction in regard to the process used by the county commissioners to select the members of the charter writing board. A quick look at some of the challengers reveals Aaron Valentino is chair of the board of directors of Envision Frederick County and Ellis Burruss lost in the county commissioner race last year while appearing on the "managed growth" slate. Donna Kuzemchak and Russell Winch served as elected officials, with the City of Frederick and Town of Walkersville. John McClurkin served on the Frederick County Planning Commission. Paul Gilligan has been a long term advocate for the rural legacy program and ran unsuccessfully three times for delegate in district 3-b. 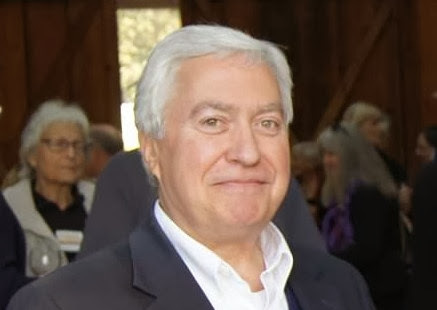 Rolan Clark has been a long time Democrat who has volunteered in the local Democratic Party rapid response efforts in the past and has been vocal in regard to his positions on local issues, including the recent waste-to-energy debate. Three of the challengers had applied for consideration by the county commissioners to serve on the charter writing board and were not selected for an interview. Arguments from some against a special election will certainly include the estimated cost of $150,000 from the board of elections to hold the election. Yet, others will argue the special election will serve to further educate the voters on how charter government will impact them. I have been a long term advocate for charter government and my support of the change has nothing to do with a "growth" or "no-growth" perspective. Rather, my support stems from my belief that a charter form of government with an elected executive and county council would better serve the voters than the current board of commissioner form of government. However, I also strongly believe the voters should be engaged in the charter writing process. The balance of power between the executive and county council, and whether the council should be elected by district or at large are but a few of the many sections of the charter that deserve full public input as the charter is being drafted by the board. The expense of 150 thousand out of the 448 million Frederick County general fund is a small figure when one considers the impact changing the form of government will have on the lives of Frederick County residents. Rather than fight the effort to hold a special election for the members of the charter writing board, it would be prudent to understand some are concerned with the current make up of the board. Educating the voters on what charter government means to the charter writing board candidates would hopefully be part of the petition drive and subsequent campaign. The change to charter government in Frederick county has failed numerous times in the past. Most often, due to confusion and personalities, rather than on merit. If two thousand verified signatures are obtained, a special election will be held and the voters will decide who sits on the charter writing board - democracy in action - which is a good thing. Radioactivity levels Spike in Damaged Reactor in Japan - the battle to avoid a complete meltdown suffered a blow as radiation levels in coolant water measured at extreme high levels forcing workers to be removed from the reactor. Reuters.com has more here. What Happens if Rebels Win in Libya? - a good question and one which was not thoroughly thought out as the U.S. pressed for international intervention. ForeignPolicy.com has a good read here. Libyan Rebel Leader Admits Fighters have al-Qaeda links - some of the fighters are jihadists who fought against allied troops in Iraq. The Telegraph has more here. Iowa Conservative Principles Conferences Attracts Republican Presidential Hopefuls - Former House Speaker Newt Gingrich, Mississippi Governor Haley Barbour, and Minnesota Representative Michele Bachmann attended the conference in Des Moines. The Caucus Blog has more here. Government Shutdown on the Way? - yet another deadline approached as the latest short term continuing resolution is set to expire. The Washington Post has more here. Sunday morning "Talking Heads" Lineup - the Obama administration goes to the airwaves to defend their military action in Libya. Defense Secretary Robert Gates and Secretary of State Hillary Clinton will appear on CBS "Face the Nation" and NBC "Meet the Press". Below, Politico.com has a rundown on the Sunday morning shows. Wisconsin Republicans Press Forward with Anti-Union Bill - seemingly in violation of a Judge's restraining order on the bill passed recently to end collective bargaining of public service employees. At issue, is the publishing of the law, which is a requirement for a bill to become law, in defiance of the order issued by the Judge. TPM.com has more here. What is Goal in Libya? - remains the most pressing question as who is in charge of the rebels is a close second. Some rebels have recaptured a few towns, but the spectre of a stalemate looms large. The Washington Post has an update here. Lack of information from Japanese Government Adds to Crisis - an record breaking earthquake, a resulting tsunami and subsequent nuclear plant disaster has proven to be too much for the government of Japan. The lack of accurate reporting from the government has added to the many problems facing the nation as they struggle to recover. The NY Times has more here. U.S. Budget Impasse Continues - no agreement has been reached among the Republican and Democratic leaders attempting to hammer out a compromise for the budget for the remainder of this fiscal year which ends September 30. Members of congress will only have a few days next week to finalize an agreement before the present two week stop gap bill expires. Both political parties are already laying the blame the other if a government shut down takes place. Reuters.com has more here. Labels: Boondooggle in Libya, Sunday Morning "Talking Heads" Lineup, Wisconsin Union Busting bill Illegal? Today, the president discusses the military action in Libya and says the leadership of the action is being transferred to NATO. Governor Bob McDonnell (R-Va.) continues the Republican attack against the health care reform passed last year. He argues the financial burdens to the states are unfunded mandates and pleas for the Supreme Court to rule on the constitutionality of the bill as soon as possible. Japan Fears Leak of Reactor Core - the efforts to control the melt downs of nuclear reactors appear to be failing and it is now feared one reactor's core has been breached. The evacuation radius from the plant has been widened to 19 miles from 12 miles. The NY Times has more here. NATO To Take limited Role in Libya - in another blow to the U.S. led effort against Qaddafi, NATO is saying they will only take a limited role. The translation us the U.S. will still bear the brunt of the military action against Libya. The Huffington Post has more here. Gates Meets With Netanyahu - U.S. Defense secretary Robert Gates was in Israel yesterday, meeting with Israel Prime Minister Benjamin Netanyahu. gates also met with Palestinian Authority Prime Minister Salam Fayyad. The meeting comes as tensions mount in the Middle East. Rockets launched by Hamas from the West Bank struck Israel and a bomb was detonated at a crowded bus stop in Jerusalem. CNN.com has more here. Michele Bachmann to form Presidential Exploratory Committee - the nut case Republican Representative from Minnesota is the latest to announce the possibility of running for the 2012 Republican presidential nomination. Appearing in New Hampshire recently, she forgot her American history and geography referring to Lexington and Concord as cities of that state. The Caucus Blog has a good read here on what a run by Bachmann might mean to the other Republicans running for the republican nomination. Huckabee Has Slim Lead in Race for Republican Presidential Nomination - the latest Gallup poll has Michael Huckabee with 19% support, followed by Mitt Romney at 15% and Sarah Palin at 12%. Gallup.com has more here. The best thing going for Democrats and President Obama is the Republican wannabees make up a list of the "usual suspects", none of who appear capable of winning the 2012 election. Government to Tax Drivers for Mileage? - the Congressional Budget Office released a report saying technology was available to track mileage driven and that taxing based on miles driven would be a practical revenue option. TheHill.com has more here. Unfortunately, this continues the long standing approach to raising taxes by the government. That isto penalize, by taxing a revenue source you actually want to reduce such as alcohol and tobacco. The goal should be to reduce miles being driven by offering incentives (tax reductions) to those who use alternative means of transportation (subway, bus, train,etc.). Questions Continue On U.S. Engagement in Libya - more questions than answers continue as President Obama has failed to make clear the reason for U.S. involvement in the so-called "no-fly zone". Why congressional approval was not sought, who will be in charge of the coalition, what is the goal of the mission, who is the leader of the rebels and what is the exit strategy; are the main questions which lack clarity in answers from the White House. Speaker of the House John Boehner (R-Ohio) has sent a letter to the president asking for answers to the above questions and more. You can read his letter here. Keith Olberman is back on his own online FOKNewsChannel.com and shares his views on Libya below. Meanwhile Qaddafi loyalists press attacks against rebel held cities. The NY Times has more here. At this point, Secretary of State Hillary Clinton who was one who talked the president into this action, has to hope the rumors she is hearing that Qaddafi is looking for sanctuary in other countries, turns out to be true. The House Foreign Affairs Committee has invited Clinton to testify next Wednesday. The Washington Post has more here. President Obama is back from his trip to Latin America and will meet with his national security team today. Bottled Water Becoming Scarce in Japan - as efforts continue to bring the damage nuclear reactors under control. Radiation has been detected in tap water with a warning issued against babies drinking it. The U.S. FDA has banned some argricultural exports from Japan as the economic fallout from the earthquake/tsunami disaster continues to grow. Reuters.com has more here. Radiation Detected in Tokyo Drinking Water - warning were issued to not have babies drinking tap water. The cost of the disaster is climbing in japan and is now 300 billion. Reuters.com has more here. Bomb Wounds 25 in Jerusalem - the bomb exploded at a crowded bus stop. This comes as Palestine/Israel peace efforts sponsored by the U.S. have stalled. You can read more here. U.S. Moves Closer to Turning Over Libya Operation To NATO - as President Obama returns from his trip to Latin America. More questions than answers continue to arise over how the U.S. got involved in this conflict and what is the end game. The Washington Post has more here. With the 2012 presidential race looming, President Obama's leadership style will be put to the test as Republicans and Democrats alike will be looking at his role in the stimulus bill, health care reform, financial reform, balancing the budget, and now the military intervention in Libya. 59% Oppose Health Care Reform - a year after the controversial bill was passed, the same number of Americans oppose it, according to a poll conducted by CNN/Opinion Research. Only 37% approve of it, down from 39% a year ago. CNN.com has more here. DCCC Identifies 10 Races in Drive For 25 in 2012 - a twenty-five seat gain is needed by Democrats to retake the majority in the House. The Democratic Congressional Campaign Committee has already listed ten seats they believe will be in play. Politico.com has more here. Democracy corps, a Democratic pollster has 50 seats in play in 2012, indicating a change in the majority is very possible. You can read their data, which includes 35 freshmen Republican seats, here. Maryland Redistricting Underway - in Maryland, Democrats will once again control the redistricting that takes place. Democrats hold an overwhelming majority of state seats and 6 of 8 congressional seats are considered "safe". The common thought is an effort will be made to go after the first congressional district, where Republican Andy Harris beat one term Democrat Frank Kratovil in 2010. The 6th congressional district, where Republican Roscoe Bartlett represents will be extremely difficult to reconfigure without jeopardizing current Democratic held districts. Chris Cillizza of TheFiz.com has his take here. Air Strikes Continue on Libya - the western lead intervention continues as questions raise as to why the U.S. is involved in this action. One U.S. fighter plane has crashed, the reason bringing different explanations. Both U.S. crewmen have been rescued. The cost to date for the U.S. intervention is estimated in the billions. BBC News has more here. Meanwhile, no one knows where Gadaffi is, who will lead the western effort when the U.S. bows out, and by the way, who is leading the rebellion? Questions Surround Presidential Authority to Enter War - the U.S. military action in Libya ordered by President Obama, without congressional consent, has led to new questions pertaining to executive power and constitutional authority. The NY Times has a good read here. Efforts Continue on Damaged Japanese Nuclear Reactors - some power has been restored as attempts continue to cool down the reactors and storage ponds. Reuters also reported the plant had been exceeding the storage limits of spent nuclear rods, which has also exacerbated the problem. Reuters.com has more here. Obama Latin America Trip Overshadowed By Other Events - the long delayed trip by President Obama has turned out to be one which no one is paying attention to as the tragedy in Japan continues, the military action in Libya began and negotiations continue on a compromise for a budget resolution for the remainder of this year. Does anyone know where President Obama is today? The answer is in El Salvador, where he will be discussing immigration, gun trafficking and drug wars. You can read more here. Pawlenty Becomes Latest Republican to Announce Exploratory Committee for President - as questions continue on the lack of leadership displayed by President Obama, the former governor of Minnesota; Tim Pawlenty joins Newt Gingrich as the first two vying for the Republican 2012 nomination. TheHill.com has more here. Democratic Senator Claire McCaskill (Mo.) Ethics Problems Imperil Reelection Bid - First, it was the revelations she had reimbursed herself for personal flights and then it was the matter of close to $300,000 of unpaid taxes on the plane co-owned with her husband. This will likely damage her reelection effort next year, a situation democrats are not happy about as they realize they will be battling to maintain their current slim majority in the Senate. TheFix.com has more here. More Air Strikes hit Libya - as questions increase as to what is the mission. The Arab League, Russia, China and India all spoke out against the bombing that has resulted in some civilian deaths. Reuters.com has more here. Expect the definition of the mission and the exit strategy for the U.S. receive added attention by Congress. Defense secretary Robert Gates is in Russia to discuss the long planned U.S. missile shield for Europe. Josh Marshall of Talking Points Memo, has a good read here on why the U.S. intervention is a bad idea. President Obama is expected to address the press today from Chile at 3:00 PM ET. Voters in Egypt Approve Constitutional Changes - yesterday, 77% of the voters approved the changes which will lead to open elections. The turnout was estimated at 41%, the largest turnout ever in an election in Egypt. Among the eight changes which were approved to the constitution was one which limited the term of the president to two, four year terms. The NY Times has more here. Obama in Chile Today - the president will continue his Latin American visit focusing on improving trade and relations with the United States. The U.S. is Chile's second largest trade export after China and the total trade value with the U.S. in 2010 was 14 billion. You can read more here. Manchin, a "No" on Raising the Debt Ceiling - West Virginia Democratic Senator Joe Manchin, who won a close election last year, is saying he will not vote to raise the debt ceiling unless major cuts to the budget take place. TheHill.com has more here. Machin won a special election to fill the seat of the deceased Robert Byrd last year and will face reelection in 2012. Damage To Japan To exceed 250 Billion - this is the estimate from the World Bank from the earthquake and tsunami. Meanwhile, work continues to stabilize the damaged nuclear reactors with conflicting reports being released as to the success of the effort. Smoke has been detected coming from one of the reactors and radiation has been found in water, milk and spinach near the site of the reactors. The Washington Post has more here. Vice President Joe Biden to Boston Today - he will attend a fundraising event for the Democratic National Committee. The DNC raised 6.9 million last month compared to 5.2 million by the Republican National Committee which remains heavily in debt. CNN.com has more here. Operation Odyssey Dawn Begins in Libya - yesterday, air and sea bombardment of targeted areas inside Libya began by allied forces. As attacks began, so did the many questions surrounding the allied action. Some wonder why it took so long for intervention, while others wonder what is the end goal. A major concern is also there is no recognized leader of the rebels. The NY Times has an update here. Questions also surround President Obama's leadership skills. Here is a good read on FireDogLake.com. Obama in Brazil as Assault on Libya Begins - his effort to develop better trade relations with Latin America overshadowed by the conflict in Libya. Reuters.com has an update below. Rescue Efforts Continue in Japan - helping the people devastated from the earthquake and tsunami will be a long term effort. Over 8,000 deaths have been officially announced and that figure is expected to increase significantly as government officials continue rescue efforts. The Washington Post has more here. Efforts to avert a larger nuclear disaster at the damaged nuclear power plant which contains six reactors continue as power has been restored to water pumps which operate coolant systems. TheHuffingtonPost.com has more here. U.S. Envoy To Mexico Resigns - it appears cables released by wikileaks highlighted a rift between U.S. envoy Carlos Pascual and Mexico President Felipe Calderon. The published cables on wikileaks showed Pascual doubted the ability of President Calderon to combat crime and corruption in his country. Politico.com has more here. President Obama Speaks To Nation on Libya - yesterday, the president addressed the nation on the involvement of the U.S. in the conflict in Libya. He stressed the U.N. action to protect civilians and made clear there would be no American troops on the ground and the time period for action by U.S. forces would be short. The NY Times has a good read here on the shift in U.S. policy from no involvement to limited involvement in Libya. You can bet special forces are already on the ground in Libya and expectations are air attacks from NATO will begin today. Meanwhile Gadaffi's forces have entered the rebel held city of Benghazi. Reuters.com has more here. Sunday Morning "Talking Heads" Lineup - the disaster in Japan putting a spotlight on nuclear power plants, Energy Secretary Steven Chu will appear on all of the "big five" morning shows. The conflict in Libya and the continued negotiations in Congress to approve a budget for the remainder of this year and next will also be among the topics discussed. Below, Politico.com has a preview. CBO Differs with Obama Administration on Budget Deficit Projection - the Obama administration said their 2012 budget would increase the budget deficit by 7.2 trillion over the next ten years. After review by the nonpartisan congressional Budget office, their estimate is the budget deficit would be increased by 9.5 trillion over the next ten years. TheHill.com has more here. The right of collective bargaining by workers has turned into a rallying cry for Democrats. President Obama discusses his trip to Latin America and his effort to open up markets for U.S. trade. Representative Jamie Herrera Beutler (R-Wash.) criticizes Democrats for not passing the Republican long term budget which included 61 billion in cuts. She praised the efforts of Republicans to put forward two short term spending plans which were passed and reduced the budget by ten billion. U.N. Votes for Military Action in Libya - Libya Declares Cease Fire- Russia and China abstained from the security council vote. Looks like France will be the first in with air strikes likely as Libyan forces loyal Gaddafi close in on the last stronghold held by rebels. The NY Times has more here. 6 More Billion Cut From Budget - the Senate voted yesterday to approve the House stopgap funding bill. President Obama is expected to sign the bill today. It provides funding to federal agencies until April 8. The Washington Post has more here. House Republicans to Propose Entitlement Cuts in FY'12 Budget - Representative Paul Ryan (R-Wis.) who is the chair of the House Budget Committee says he will introduce a budget proposal in early April which will includes cuts to medicaid, social security and medicare which amounted to 43% of the federal budget in 2010. TheHill.com has more here. Obama To Latin America - the much delayed trip is now a go. The president will visit Chile, Brazil, and El Salvador. Trade will be a major issue discussed as the president would like to boost U.S. exports. The Wall Street Journal has more here. Japan May Bury Nuclear Plant - as the crisis continues, the idea of burying the nuclear plant is increasingly becoming the only viable option to contain nuclear fall out. The same action was taken to contain the leakage from the Chernobyl ractor in Russia back in 1986. Reuters.com has more here. Yesterday, The City of Frederick held a pre-bid conference for the Request For Proposals (RFP) on the use of the city owned stadium. As anticipated, two potential bidders attended; the current lease holder; The Frederick Keys and Frederick Atlantic, LLC. The RFP was issued by Mayor Randy McClement when negotiations on the extension of the current lease with The Frederick Keys, broke down. The Frederick Keys, who are the single-a farm team of the Baltimore Orioles have been paying a small annual lease of thirty thousand, which some have said is not enough, even though the added economic benefits to the community is considerably larger. Frederick Atlantic, LLC is a baseball team associated with the independent Atlantic League and interestingly, is owned by a partnership which includes the original owner of the Frederick Keys; Peter Kirk. The Atlantic League was formed in 1998 and has many former major league players as managers and coaches, including Any Etchebarren who was the catcher on the 1966 World Champion Baltimore Orioles. One issue which has been raised by city aldermen and the mayor is how can additional revenue be raised by the city from use of the stadium. Suggestions have ranged from allowing the stadium to be used for multi-use purposes such as concerts and theater. In addition, alderwoman Carol Krimm would like to see the stadium be made available for use by local Babe Ruth teams on off days. Jack Lavoie, managing member of Frederick Atlantic, LLC. sent me some information on the Atlantic League and some of the activities which take place in other stadiums, which can be read here. Some have clamored the Frederick Keys are up for sale and have been extending their lease on yearly basis and therefore should not be continued. While, others say replacing a major league farm team with a Independent League team would result in a lesser economic benefit to the greater local community. RFPs are due to The City of Frederick by April 15. If two bids are received, as expected, the vote by the board of aldermen is likely to be close when the award is made. Alderwoman Karen Young has publicly expressed support for the Atlantic League, while alderwomen Kelly Russell and Carol Krimm, along with alderman Michael O'Connor have not been as quick to jump on the bandwagon for change. Information From Japan Government Questioned - as nuclear crisis continues to unfold. Conflicting reports on levels of radiation leaks coming from four reactors has added frustration to an already beleaguered nation beset by natural disaster. Efforts of dropping water from helicopters and using land based water cannons have failed as the prospects for a greater nuclear disater increases. The Washington Post has more here. A new poll released today shows only 44% of Americans support expansion of nuclear power plants. In Libya, Gaddafi Forces Gaining Control - pressure is mounting for the U.S. to intervene militarily. The U.N. still has not taken a vote on a no-fly zone and all indications are it would be vetoed by security council members China and Russia. Now, the U.S. is asking the U.N. to authorize air strikes. Stay tuned... The NY Times has more here. Retired U.S. General Wesley Clark appearing on MSNBC this morning, said the first approach should be diplomatic, with a call for a cease fire and negotiations to take place to lead to a transition in the government. Makes sense. New Effort from Senate Republicans to Pass Amendment to Balance the Budget - what would be a constitutional amendment. Senator Jon Kyl (R-Ariz.) is expected to make the announcement tomorrow. The deficit for this year alone is expected to hit a record 1.65 trillion. Reuters.com has more here. Palin Heads To Israel - in a futile attempt to add to a non existent foreign policy knowledge, the former governor of Alaska will visit Israel for two days with her husband Todd. Can anyone actually picture Sarah Palin, as president, negotiating peace between Palestine and Israel? TheHill.com has more here. House Vote on NPR Funding Today - this follows the secret video taken by ultra conservative activist James O'Keefe of a NPR executive saying they would be fine without federal funding. Tea Party Republican House freshman will introduce a bill today to end funding for National Public Radio. CNN.com has more here. Nuclear Plant Crisis Continues in Japan - valiant attempts to avoid a major catastrophe continue as multiple nuclear reactors face meltdowns. High radiation levels forced the remaining crew of technicians to leave temporarily, before returning. The Washington Post has an update here. Diplomatic Standoff Ends in Pakistan - the American former C.I.A. operative who was arrested after killing two Pakistanis, has been released. The U.S. had claimed he was protected by diplomatic immunity. The release came after the families of the deceased accepted a payment of money from the United States. The NY Times has more here. This incident has strained the already fragile U.S./Pakistan relationship. Clinton Tours Tahrir Square - the site of the mass demonstrations in Cairo which led to the removal of Egyptian President Mubarak. Steps continue to be made leading to a democratic election. MSNBC.com has more here. Building Industry Hits New Lows - building permits were at their lowest ever on record as new home construction dropped 22.5% last month. Interest rates continue to be at the lowest ever available to buyers, but is not spurring sales. Reuters.com has more here. House Passes 3 Week Budget - Senate Next - the vote was 271-158 with 54 Republicans voting against it and 85 Democrats voting for it. The vote in the Senate will likely come today as the current two week stopgap funding bill expires Friday. TheHill.com has more here. Will Strickland Be Next DNC Chair? - the former governor of Ohio who lost in his reelection bid last year is emerging as one of the favorites to replace Tim Kaine who is likely to step down to run for U.S. Senate in Virginia. Politico.com has a good read here. I look to see a woman picked to lead the Democratic Party with former Michigan Governor Jennifer Granholm, a likely choice. The DNC is meeting tonight in D.C. and President Obama is expected to attend. Sarah Palin's Favorability Drops Among Republicans - it is now 58%, down 30 points from the 2008 election. More importantly, her unfavorable rating among Republicans is 37% and much higher than other leading contenders for the 2012 Republican nomination for president. CNN.com has more here. Nuclear Crisis Continues in Japan - four nuclear plants have been damaged significantly and desperate attempts are being made to keep radiation leaks at a minimum. Meanwhile, the japan stock exchange has lost 30% since the earthquake hit the country. Reuters.com has an update here. New York Stock Exchange Invokes Rule 48 to Slow Drop - Dow was down 273 at the open and rule 48 was invoked to slow down a run on the market. As I predicted yesterday, this comes as a result of the disaster in Japan. Bloomberg.com has more here. Obama Works to Receive Attention and Support to End "No Child left Behind" - the president follows up on his announcement yesterday with a series of interviews today. he is calling for Congress to end "No Child Left Behind" as he wants to see education reform. politico.com has more here. Kaine Tells Students He is Running For Senate - during a speech to University of Richmond students. What has been widely rumored, the DNC chair is now likely to make it official in the near future. He would face the presumptive Republican nominee George Allen. The other hot rumors surround who will be Kaine's replacement. You can read more here. House Republicans Want To Repeal Wall Street Reform Bill - The Dodd-Frank Act faces repeal by a series of five bills put forward by House Republicans. TheHill.com has more here. Hillary Clinton in Cairo - all reports indicate the U.S. is not officially endorsing a no-fly zone in Libya. Instead, the U.S. will let the debate take place in the United Nations, where it is expected to be stopped by a veto by China. You can read more here. Economic Meltdown Next for Japan? - an monumental earthquake, a tsunami, and nuclear reactors experiencing radiation leaks, the impact on the already fragile economy in Japan is likely to be major. The Tokoyo stock exchange dropped 6.18% Monday. Look to see this also effect the U.S. economy. ThePage.com has more here. Lack of Agreement on U.S. Budget - expect a three week extension to be passed by Congress this week as emocrats and republicans are unable to agree on funding levels for the remainder of this fiscal year. Still looming is the budget for next year which begins October 1, 2011 and the raising of the debt ceiling expected to be reached within the next month. Cnn.com has more here. Obama to Speak at Virginia School Today - at Kenmore Middle School in Arlington, the president will talk about education reform which will include more power to states. TheHill.com has more here. Obama Op-Ed on Gun Control - yesterday, in the Arizona Star, the president wrote about the need to come to agreement on gun control reforms. Two months after the tragedy in Tucson, the president's op-ed is weak and late, disappointing those on the left who had wished for a stronger statement from the president. You can read the op-ed here. Duke Energy 10 Million Line of Credit for Democratic Convention Raises Eyebrows - Democrats put the message out early their 2012 national convention in Charlotte would not be funded by corporate interests. Politico.com has more here. Japan Tsunami Leading to Nuclear Plant Meltdowns - if an earthquake and tsunami wasn't enough for the people of Japan to endure, the attempts to cools down a nuclear reactor are failing. The Washington Post has more here. Uprising in Libya Lacks Coordination - the initial support fueled by dissatisfied youth in Libya is being beaten back by the forces loyal to Gaddafi. The Arab states voted to support a no-fly zone if imposed by the U.N., but at this point, with no one in control of the rebellion, the ultimate results which would come from further support to rebels is questionable. The NY Times has more here. Israel Announces More Homes to be Built in West Bank - further aggravating a longstanding problem between Palestinians and Israel. The announcement to build more homes came after the murder of three Israeli children in a settlement by unknown attackers. Meanwhile, the U.S. brokered peace talks between Israel and Palestine remained stalled. Reuters.com has more here. Fabulous 14 Return to Wisconsin - the state senators who fled to Illinois to avoid a vote on collective bargaining, were greeted by huge cheering crowds. CNN.com has more here. Some House Republicans Uneasy About Another Stop Gap Funding Bill - the current continuing resolution expires on March 18 and negotiations have led to another three week extension to be voted on this week which contains 6 Billion in cuts. However, some House Republicans are not happy with another short term extension and fear their requested 61 Billion in cuts for the remainder of the current fiscal year will not eventually pass. TheHill.com has more here. Senate Minority Leader Mitch McConnell Says No to Raising Debt Ceiling - appearing on Fox News, he says Republicans in the Senate will not vote to raise the debt ceiling unless their is a credible effort to reduce the nation's long term debt. Politico.com has more here. Union Busting in Wisconsin Could Be boon For Democrats - the success of Republican Governor Walker in ending collective bargaining for public service employees could become a rallying cry for Democrats running for office in 2012. The NY Times has more here. Gay Marriage fails in Maryland - after passing in the more conservative state senate, the bill died without receiving a vote in the House. While Maryland democratic Governor Martin O'Malley had publicly said he would sign the bill, he did not actively work to garner support of it. The Baltimore Sun has more here. Congressional Budget Stalemate Continues - agreement has been elusive on the budget for the remainder of the current fiscal year. House Republicans are preparing another continuing resolution, this one for three weeks which includes 6 billion in cuts. The current 2 week extension expires next week. House Minority Whip Steny Hoyer (D-Md.) says this is the last time he will support a short term agreement. TheHill.com has more here. Japan Disaster Puts Spotlight on Dangers of Nuclear Power - as support for nuclear power plants have been increasing in the United States. Five nuclear power plants in Japan are in jeopardy as power generators have been disabled effecting their critical cooling process. Some radiation has been released and the fear is rising of more radiation being released as evacuations have been ordered. Construction of nuclear power plants in the U.S. stalled after the accident at the Three Mile Island Plant in Pennsylvania. The Washington Post has more here. Sunday Morning "Talking Heads" Lineup - the Japan disaster, the budget crisis and the race for the Republican 2012 presidential nomination are among the topics for tomorrow. Below, Politico.com has a preview of the guests. President Obama speaks about Women's History Month and the efforts made to create a more equal society in America. He talks about the importance of passing the Paycheck Fairness Act. Alaska Senator Lisa Murkowski calls for a new United States energy policy which would include expanding domestic oil drilling. Frustration continues to grow over the selection process used by the Frederick Board of County Commissioners (BoCC). Last night, the BoCC interviewed fifteen candidates from fifty-two applicants and chose the following nine (Rocky Mackintosh, Bob Kresslein, Jeff Holtzinger, Debra Borden, Fred Anderson, James Hoover, Ken Coffey, Tom Browning, and Joan Aquilino-McIntrye) to serve on the charter writing board. Three (Earl Robbins, Dana French, and Doug Browning) were selected to serve as non-voting alternates. Questions pertaining to the process used to select the members began immediately after board president Blaine Young announced on his radio show last Friday the fifteen people to be interviewed and the list of questions each would be asked to answer. The questions posed to the fifteen candidates can be read here. One of the first callers to the show asked how were the questions determined and why they were not asked of all of the applicants prior to the board selecting fifteen to be interviewed - a good question. Kathy Rossen is among those who are frustrated with the selection process. In a telephone conversation she expressed concern in regard to the process and questions the answer she received from the county when she requested the criteria used to whittle the applicants down to fifteen. Ms. Rossen was sent the following list: 1. Business 2. Community Activist 3. Political 4. Government/Civil Servant 5. Municipal 6. Legal Community 7. Non-Profits 8. Education 9. Agriculture 10. Public Safety 11. Transportation 12. Medical Community 13. Military. Instead, she felt representatives from community groups should have received priority consideration. She was disappointed the League of Women Voters of Frederick County, which she was selected to represent, was not given a seat at the table - I agree. She added many lawyers had been selected and felt one representative from the legal community would have been sufficient as county counsel would surely be made available to the committee, when needed. Rossen has long been a proponent of charter government and fears the selection process will hurt the possibility of passage by the voters in the 2012 general election. She also felt the questions posed to the candidates indicated the commissioners already knew how they wanted various sections of the charter to be written and felt some of the questions were not even appropriate to be asked in the interview. When I asked her if she would participate in a special election, she said she wouldn't rule it out. Her only concern in regard to a special election was if the cost of holding it would be a negative to voters. Ms. Rossen is torn because she wants charter government to pass but she fears the board members selected by the BoCC will not produce a document she will be able to support. Former county commissioner Kai Hagen, who lost in his reelection bid, also has reservations in regard to the community representation on the board. Hagen is now executive director of Envision Frederick County, a newly formed non profit organization. "I will watch the remaining part of the selection process with interest. But, since they decided to only interview 15 people for nine spots and three alternates, one can already make certain conclusions. One observation that seems to be widely shared by people who know something about many or most of the people left in the process is that it is not a broadly representative group (in many respects)...and that it is heavily developer-oriented. It remains to be seen who the nine will be, and who among others will want to run for a spot on that committee (assuming that the requisite number of signatures are gathered by them and on their behalf). It is likely that others will run, and almost certain at this point that switching out some members of the committee with others might make - could make - the committee more diverse and representative of more perspectives and concerns in our community. I expect I'll be involved in that effort, but how much and in what manner is not yet determined. I do think the 2,000 signatures, over a 60 day period, is very do-able, if folks are motivated. I will also note that having an election for the charter writing committee has an additional benefit, in that it will certainly help foster more public discussion and awareness, and sooner. And that by itself is a good thing". Ms. Rossen and Mr. Hagen voice valid concerns. It is important to note the charge of the charter writing board is to produce a document which will provide the framework for governing Frederick county. They have up to eighteen months to complete it with the goal to have the charter put forward for the voters to decide in the November 2012 general election. However, before the board can begin working on the document, any Frederick county registered voter has sixty days to file a petition to force a special election to determine the members of the charter writing board. All that is needed is 2,000 signatures from Frederick county registered voters. The form to be used for obtaining signatures can be obtained here. In a conversation with Frederick county elections director Stuart Harvey, he said a petition could contain up to nine names, the size of the board previously determined by the BoCC. Harvey added there is no limit to the number of petitions which can be filed. So even a single individual could file a petition. In other words, there is the potential for numerous names to appear on the special election ballot. If petitions are received within sixty days, the signatures would be verified and a special election must be held within the following ninety days. Harvey said the compressed time frame to hold an election could increase his estimated cost to the county of $150,000 to hold a special election. The special election would allow the voters to weigh in on who will serve on the charter writing board. In essence, a move to a special election will delay by up to five months, the charter writing board from beginning it's work. Not, an insurmountable problem, but the number of months available for the board to deliberate and still aim for having the question put to the voters in the 2012 general election will be reduced. Yet, the board will still have a year to produce the document. The change to a charter government in Frederick County is long overdo and I commend the BoCC for deciding to create a charter writing board. But, it is important the process be done in a manner that is representative, transparent and provides for input from the voters. A representative board is imperative for the future success of this effort. Involving voters throughout the charter writing process is also needed to receive input to ensure proper checks and balances, acceptable to the voters, exist in the charter. This voter outreach effort would also serve as a means of educating the voters on charter government. I was one of the fifty-two applicants to apply for the charter writing board and feel the caller to Blaine Young's radio show, Kathy Rossen, Kai Hagen and others have expressed valid concerns in regard to the process used to date in determining the make up of the board. Having been involved in politics all my life, I am used to political decisions being made by a majority of elected officials, sometimes outside of the public view - having been appointed to various county boards without an interview. I, like Kathy Rossen, have been a long time proponent for charter government. I understand the reservations stated by others in regard to the process used in the selection process. I am now fearful the perceived taint of the appointment process will result in the failure of the charter to be approved. Look to see an effort mounted to obtain signatures for a petition to hold a special election. If the candidates are as Kai Hagen suggests "...more diverse and representative of more perspectives and concerns in our community", the effort will be worthy of support.